The Office of Fraud Detection and Market Intelligence (OFDMI), created in 2009, centralizes FINRA's review of allegations of serious fraud and significant investor harm, and serves as a central point of contact, both internally and externally, on fraud-related issues. OFDMI gathers and evaluates regulatory intelligence from a number of sources, including regulatory filings, tips and investor complaints, and expedites the review of high-risk tips and fraud-related matters by senior staff. OFDMI also conducts robust insider trading and fraud surveillance programs. The department coordinates with Enforcement and other FINRA Departments to aggressively pursue matters under FINRA's jurisdiction, and refers matters involving potential fraud and misconduct that are outside of FINRA's jurisdiction to the U.S. Securities and Exchange Commission (SEC) or other regulators or law enforcement agencies for further investigation. The SEC has kindly acknowledged FINRA's assistance in certain of its Litigation Releases. OFDMI consists of four units: the Insider Trading Surveillance Group; the Fraud Surveillance Group; the Central Review Group and the Office of the Whistleblower. The Insider Trading Surveillance Group, which also houses the PIPES (Private Investment in Public Equity) Group, analyzes trading activity across U.S. markets for evidence of insider trading. As of January 1, 2015, the Insider Trading Surveillance Group also includes the Options Regulatory Surveillance Agency (ORSA), allowing consolidated surveillance of potential insider trading in equities, corporate debt and options across U.S. markets. The Fraud Surveillance Group analyzes trading across all equity markets, and detects and investigates fraudulent or manipulative activity, including issuer fraud, pump and dump stock schemes, market manipulation and account intrusions. The Central Review Group, which consists of the Preliminary Investigations and Front End Cause units, performs preliminary investigations on certain matters and analyzes regulatory filings, investor complaints and other sources of regulatory intelligence for potential misconduct. The Office of the Whistleblower analyzes tips and complaints of possible fraud or other misconduct that are submitted to FINRA’s Whistleblower hotline (1-866-96-FINRA or 1-866-963-4672) or mailbox ([email protected]), and from other sources. Tips to FINRA’s Office of the Whistleblower are reviewed on an expedited basis by senior staff, and those warranting additional review and investigation are subject to an expedited regulatory response. Whistleblower tips that fall outside FINRA's jurisdiction may be referred to the appropriate regulatory or law enforcement agencies. FINRA does not offer financial rewards for tips submitted to the Office of the Whistleblower. Cameron Funkhouser is Executive Vice President of FINRA's Office of Fraud Detection and Market Intelligence, which includes the Insider Trading and Fraud Surveillance units, FINRA's Complaint Center and FINRA's Whistleblower program. Mr. Funkhouser and his staff have been responsible for uncovering numerous cases of Internet fraud, insider trading, market manipulation, Ponzi schemes and other white collar misconduct, which have been successfully investigated and prosecuted by FINRA, the U.S. Securities and Exchange Commission and other law enforcement agencies across the country and internationally. 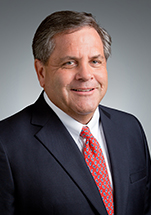 He has been with FINRA since 1984, serving in various roles of increasing responsibility with a focus on the surveillance of securities traded on NASDAQ, New York Stock Exchange and the over-the-counter markets. Mr. Funkhouser has extensive experience conducting securities fraud investigations and is regularly called upon by civil and criminal law enforcement authorities to provide training, technical assistance, investigative/litigation strategy consulting and expert testimony. Mr. Funkhouser received a bachelor's degree in business from Georgetown University and his J.D. from George Mason University. If you have information about potentially illegal or unethical activity, call 1-866-96-FINRA (1-866-963-4672), or write to [email protected].